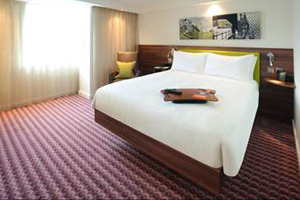 Hampton by Hilton Birmingham Broad Street has opened as the value brand's largest property outside the US. It has 285 rooms, free high-speed internet access, a 24-hour snack area and a fitness centre. Hampton by Hilton Birmingham Broad Street general manager Elaine Grahame said: "It offers outstanding value as well as an excellent city centre location."